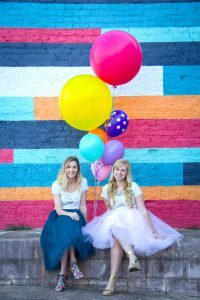 I started freelance writing a little over a year ago. I always knew I wanted to be my own boss. So, right away I set the goal of quitting my job and working from home. It took longer than I thought, but I finally reached my goal! Adjusting to freelancing full-time and working from home wasn’t as easy as I imagined, though. 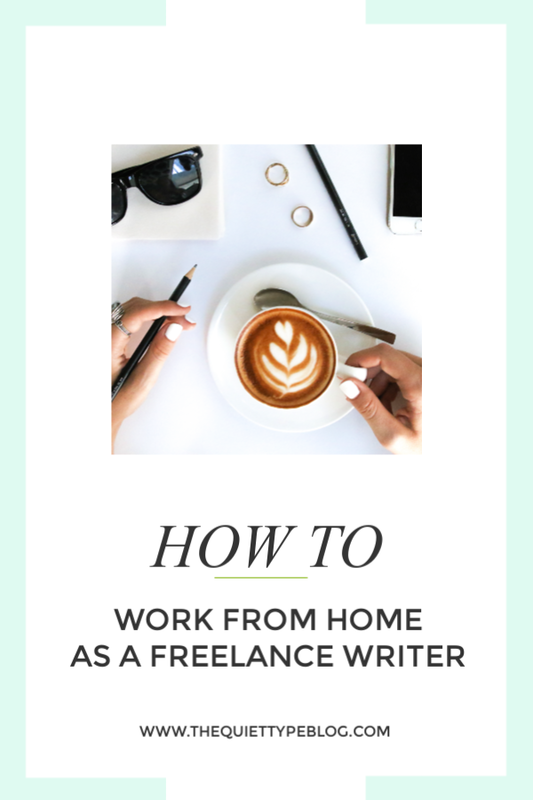 However, I have learned some pretty great tips for working from home along the way. When working from home, your work space is essential to your ability to get any work done, so having the right set up is going to go a long way. 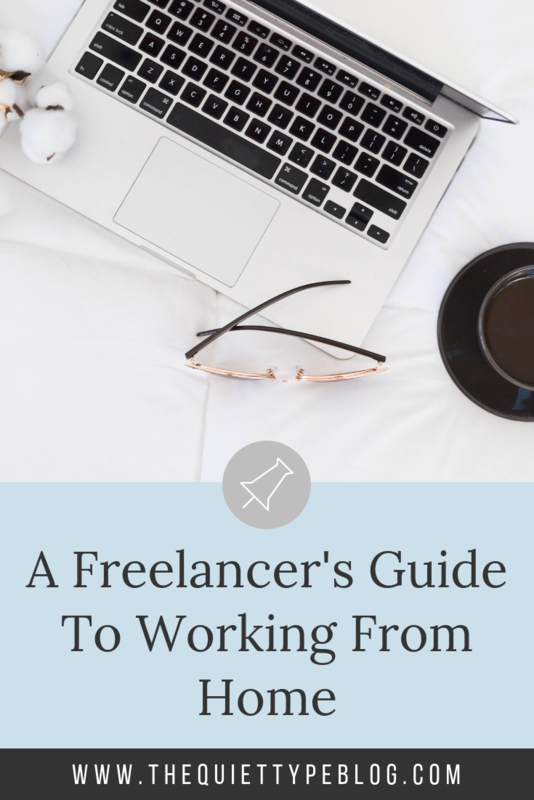 When I started freelancing, I shared a two bedroom apartment with two other people. Needless to say, finding a quiet place to work was difficult. Now that we moved to our new house, I was able to set up an office in our second bedroom and my productivity levels pretty much skyrocketed! Having a designated work space is a must when working from home. Not only does it give you a quiet, distraction free place to work, but all your work things are in one place. Keep everything vital to your work inside your office. Trust me! Staying organized will limit how much time you waste looking for your computer charger (or is that just me??). Even a designated work space is rife with distractions. 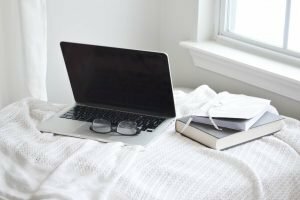 Here are some tips to keep yourself focused and on task while working from home. → Use the “incognito mode” on the Chrome browser. I’m a big fan of incognito mode. It limits the temptation to browse through social media or check my blog stats because incognito mode requires users to log into every single account. → Keep your phone on silent while working. This works well because you don’t get distracted by every single social media notification, email, or text message that comes in. → Schedule a time to check your email. This may seem a little silly, but having a set time to check your email is actually really liberating. Knowing you will check your email at certain time helps you keep your focus on what you’re doing, and it forces you to be more efficient when it is time to check your email. It’s amazing what a distraction free work space can do for you! The beauty of working from home is the ability to set your own office hours. 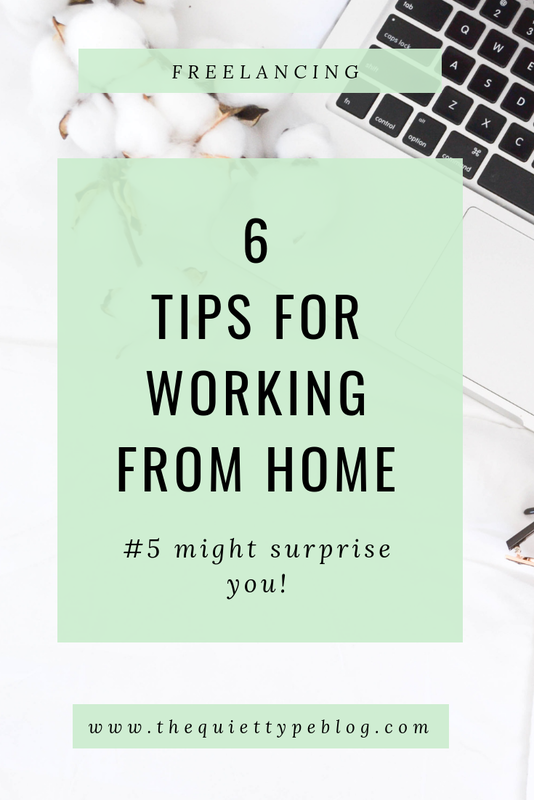 Gone are the days of being forced to work the dreaded 9-5 and instead, those that work from home can set their work hours to fit their needs. One of the biggest benefits to this is setting a work schedule around the time you tend to be more productive. For me, that’s the morning so my work day typically starts around 8 AM. While I do my best work in the morning, another writer might be the most productive from 5 PM to midnight. 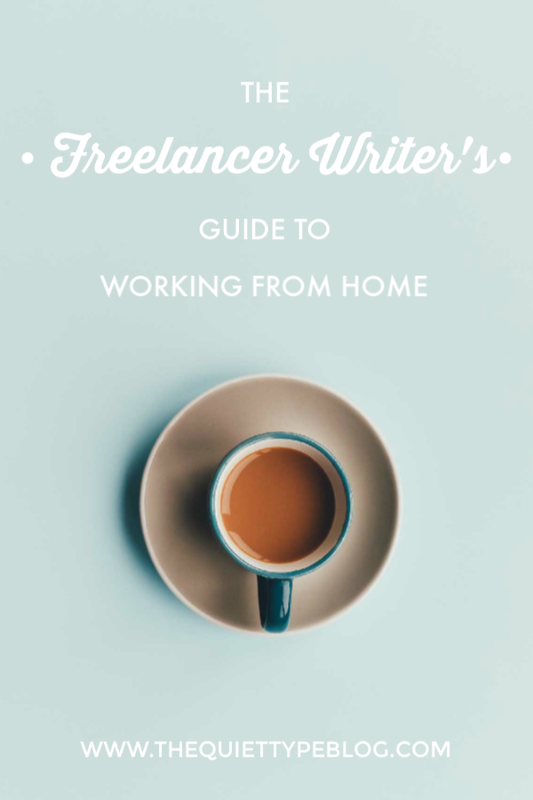 Regardless, freelancers that work from home should stick to a routine, which includes keeping routine office hours. 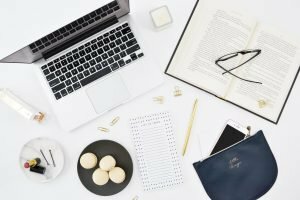 Setting goals for your business is one way to motivate you and help you stay productive when working from home. Whatever your goals are, write them down! Then, break them up into actionable steps you can achieve weekly, monthly, quarterly, and yearly. I’m the type of person that loves to make lists. I have a notebook dedicated to my weekly to-do list, as well as a a daily to-do list in my planner. My to-do lists help me stay productive because I know what my top 3 tasks are for the day and I’m able to schedule them into my work day. Whether you do this in a calendar app or using a planner, plan out your day so you know exactly what needs to get done. My favorite time to do this is the night before because then I can jump right in the next morning but either way works. Batching tasks also helps you stay efficient during the work day because you’re able to stay focused and bang out similar tasks quicker. So, when I plan out my day I try to block out chunks of time for similar tasks. I recommend using a pencil when planning out your day in case a task takes you more or less time to complete than you thought. It makes it easy to make adjustments! The Pomodoro Technique is where you work in short chunks of time and take a break in between. For example, set a timer for 25 minutes and work non stop. Once the timer goes off, take a short 10-15 minute break and then jump back in. This method is a go to when I’m feeling unmotivated or struggling to make myself start a project. More often that not, once I start working I find I don’t need to take a break after the initial time is up. Building a freelance business takes a lot of hard work and dedication, so it’s only natural to experience burnout every once in a while. 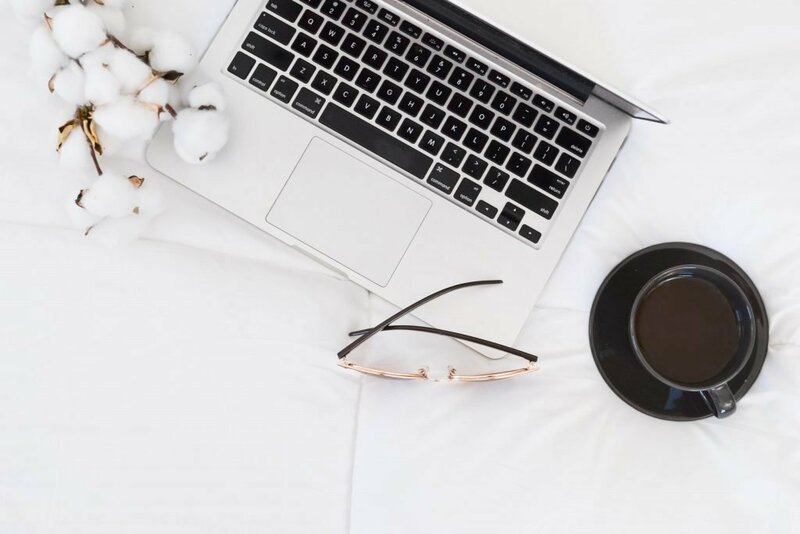 Keeping burnout at bay is an important part of working from home because it can cause you to lose your passion and drive for doing what you love. How you feel impacts every aspect of your life, including your work. If you’re feeling tired and run down, your work is going to reflect that. → Take breaks when you need to. You might feel like you need to hustle, hustle, hustle but the truth is you need to find the balance between grinding away and taking care of yourself. Go for a walk, read a book, or listen to a podcast episode. Once you’ve stepped away, you can come back refreshed and ready to tackle your next project. → Get a change of scenery. Having a home office or work space all your own is awesome, but every once in a while it’s a good idea to get a change of scenery. Whether that’s getting some fresh air outside or working out of your favorite coffee shop for the afternoon, changing it up will help to recharge your battery. 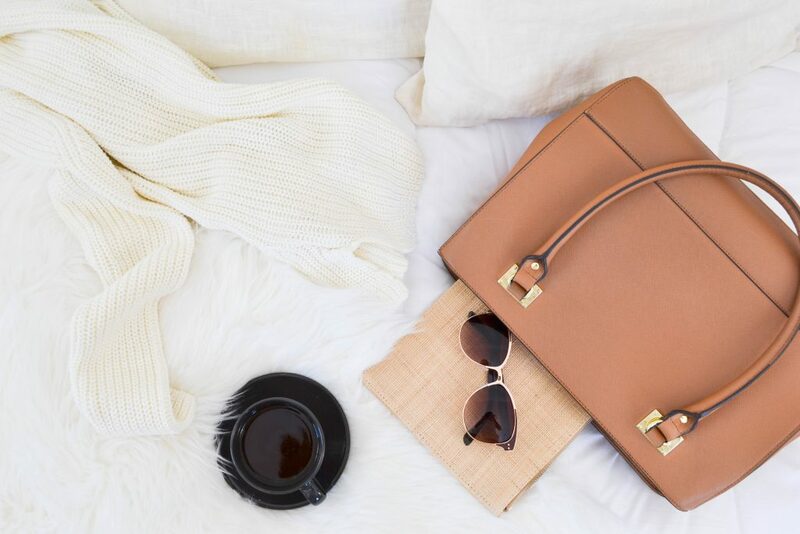 → Schedule in some “me-time.” You’ve scheduled time for you business, but now it’s time to practice a little self-care by scheduling in some time each week to do something you love or that relaxes you. It can be as simple as finding 30 minutes at the end of the day for bubble bath and some wine or just hanging out on the couch watching Netflix on a Friday night. If it makes you feel relaxed and centered, do it! One of the biggest problems I’ve run into since I started working from home is reconciling the time I spend working versus household stuff. It’s easy to fall into the trap of thinking since you’re home more, you’ll accomplish more around the house. The truth is, you’re still spending the same amount of time (if not more) at work. It just so happens your office is located inside your home. This trap is one you’re partner may fall into, as well. I know, because I experienced it a week into working from home. It may bother me, but I know he’s not doing it to be rude. He just doesn’t understand yet how much of my time at home is spent holed up in my office completing client work, pitching new clients, and building my business. That’s why it’s important to have open communication about what your work day looks like. Talk about your schedule and where your time is going to be spent. If you’re having trouble making time for household chores and errands, ask for help. Seriously, honest communication goes a long way! Partner or not, decide what areas of your life you can use more help in. Not enough time to grocery shop? Sign up for a meal delivery kit (my favorite is Hello Fresh!). No time to clean the house? Hire a cleaning service to take it off your plate. This goes double for outsourcing work within your business. Sure, you might want to do everything or you might think you can’t afford to hire anyone. That’s normal, especially when starting out. The truth is, it can be beneficial to bite the bullet. Yes, it may cost you money, but it frees up time for you to make money doing what you do enjoy. Hate editing your work? Hire someone to do it for you. Then spend that time working on other projects or pitching new clients. You might even find people who would be willing to trade services for a while instead of monetary compensation. There will be days you feel like the most productive, badass freelancer in the world. Then there are days where nothing goes to plan or you fall deep into the nap trap. That’s okay! Figuring out a routine and systems that work for you can be a trial and error thing. You might make mistakes or feel disorganized, but eventually it will all click together. I love the advice to use Incognito mode! I am so guilty of constantly getting distracted by all the fun things I could be looking at instead of working! Incognito mode and turning my phone on silent are definitely my favorite tricks! Thanks for stopping by, Jessica!